Sign up for Broadjam today to follow William Campbell, and be notified when they upload new stuff or update their news! 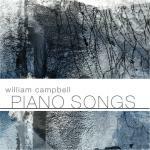 Solo piano music from composer and pianist William Campbell. 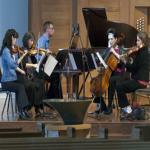 The Piano Quintet for two violins, viola, cello and piano was composed in 2011. 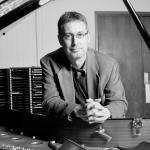 It was commissioned by Churches United for their 50th Anniversary and premiered by the Maia Quartet and the composer at the piano on April 28, 2011 at St. Paul Lutheran Church. It is in four movements and features lush writing for the instruments in a post-minimal Americana style. Composed in 2011 for the 50th Anniversary of Churches United. Premiered by Maia Quartet with William Campbell at the piano.